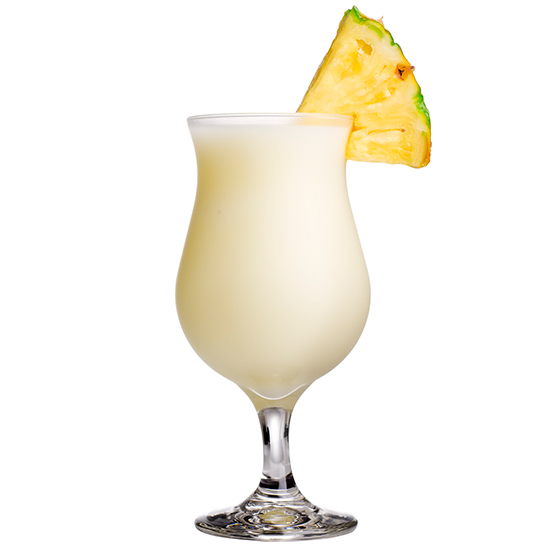 It’s National Piña Colada Day! So kick back with a homemade version of the tropical, frothy, boozy cocktail (preferably poured into a hurricane glass) and read up on some fun facts about everyone’s favorite vacation cocktail. 1. The name translates to an ingredient in the drink. Piña means pineapple and colada means strained. So Piña Colada translates to strained pineapple (a.k.a. fresh pineapple juice), an essential ingredient in the cocktail. 2. It took three months to perfect. The origins of the Piña Colada are contested, but the widely accepted version of the story says that it was created on August 16,1954 by Ramón “Monchito” Marrero, a bartender at the Caribe Hilton’s Beachcomber Bar in San Juan, Puerto Rico. The hotel asked Marrero to come up with a new signature mixed drink and, after three intense months, the Piña Colada was born. 3. Or maybe a pirate first made it. According to cocktail legend, Marrero may not have been the first person to combine coconut, pineapple and white rum. Puerto Rican pirate Robert Cofresí is said to have served his crew the mix in the early 1800s in order to boost morale. 4. There are many variations. A few of the more notable Piña Colada riffs include the Iguana Colada (made with Midori), the Miami Vice (half strawberry daiquiri, half Piña Colada) and the Jackolada (mad with one half part Jack Daniels and one half part white rum). 5. There almost wasn’t a Piña Colada Song. “Escape,” the famous song from Rupert Holmes more commonly known as “The Piña Colada Song,” nearly left out any mention of the cocktail. The original lyrics were: “If you like Humphrey Bogart and getting caught in the rain.” Luckily, Holmes changed them at the last moment.